walk-ins welcome. free in-home appointments. Shopboy is a boutique tailor shop for men and women. 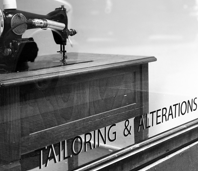 We offer a full range of alterations and repairs, from work on suits and dresses to denim, leather and fur. With master tailors, expert specialists and a comfortable space, Shopboy brings the first boutique tailor shop to New York City. Desmond Brooks and Kendall Khanna founded Shopboy in the fall of 2017. 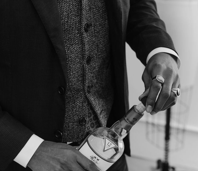 Inspired by their goal to redefine the tailoring industry, the couple envisioned a space where fashion and hospitality could come together while providing a necessary service. 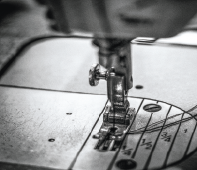 With Desmond’s background in luxury fashion and Kendall’s in wellness consulting, Shopboy’s mission is to personalize the alterations process so each customer leaves the space with perfectly tailored garments, looking and feeling their very best. "Most tailors aren't concerned with whether your jeans feel a little too 'spring 2017.' But Shopboy marries quality with styling expertise." Sip a cappuccino on the shop’s ­velvet sofa while owners Kendall Khanna and Desmond Brooks work with you to assess whether that vintage corduroy suit is properly channeling Wes Anderson or figure out how to turn that ’70s leather jacket into an Acne-level moto. "What better place to start transforming your look than perched on a velvet couch, drink in hand, while your wardrobe is transformed into a more perfect version..."
“We were on the path of creating our own thing, and we saw a demand for tailoring.” says Khanna. Shopboy 2018. All rights reserved.